The Milwaukee Police Department released the mugshot of the suspect who allegedly shot and killed Officer Matthew Rittner on Wednesday. The man arrested for the death is 26-year-old Jordan Fricke of Milwaukee. MILWAUKEE — The Milwaukee Police Department released the mugshot of the suspect who allegedly shot and killed Officer Matthew Rittner on Wednesday. The man arrested for the death is 26-year-old Jordan Fricke of Milwaukee. Our I-Team found he has no criminal record, no record of arrests and before Wednesday, he did not have a mugshot. Court records show a handful of violations, and a first time drunk driving citation. 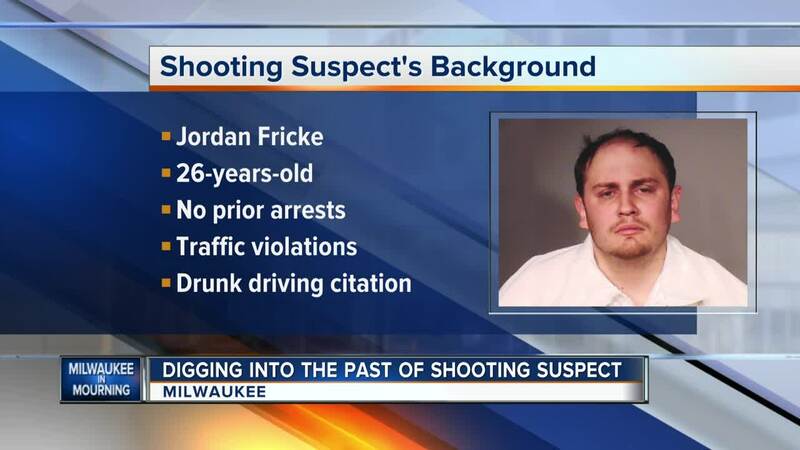 Milwaukee Police Chief Alfonso Morales said Fricke was wanted for illegal firearm and drug charges.